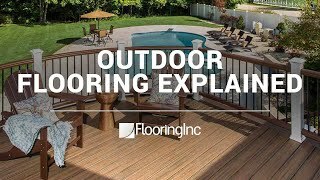 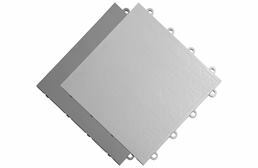 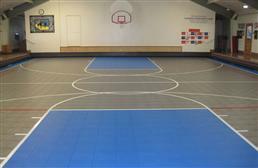 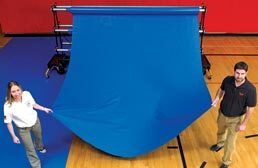 At RubberFlooringInc we offer a wide range of indoor and outdoor court floors great for basketball courts, volleyball courts, and tennis courts. 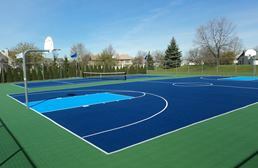 Our outdoor court flooring is vented allowing water to flow through the floor. 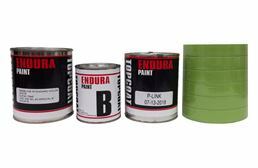 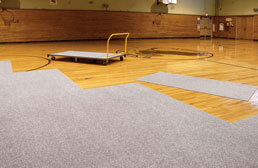 This ensures a floor that is slip resistant in wet or dry conditions. 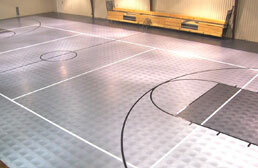 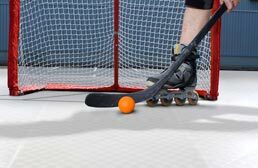 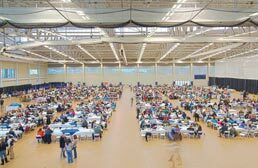 Our indoor sport flooring is solid, helping to prevent water and other liquids from penetrating to the subfloor. 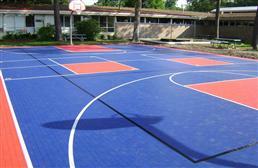 Our basketball court flooring is very shock absorbent and better on your joints than concrete. 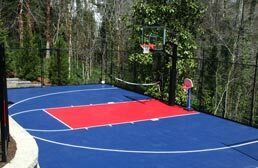 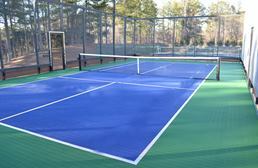 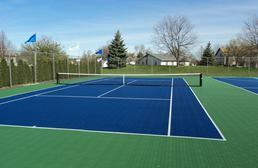 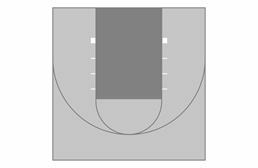 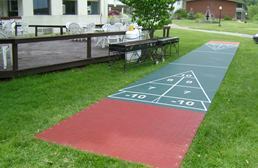 Available in several colors and sizes, feel free to customize your court with your favorite team’s colors!